Christmas time is just so magical. Ever since I was small I remember it being one of the happiest times of the year. I loved getting together with all of our extended family, spending time baking and decorating with my mom and sisters, and enjoying the sights, sounds, and smells that come with the Holidays. Now that I have my own children, I look back on the love that was shared and the memories created during Christmastime and I want so much for them to experience the same. Times have change and life has sped up, sometimes seemingly unrecognizable as we scurry around from work to sports to all the committees and often find ourselves wondering where all the time went. As each day passes we find ourselves exhausted and yet at the end of the year, just as Christmas is coming around the corner, we wonder where all the time has gone. Why not take this time to really connect with your family and create those lasting memories. Slow down and enjoy each other with a new, or old, Christmas tradition. 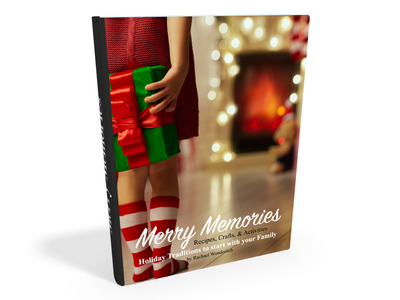 I created the book Merry Memories to savor my own childhood and pass on those time honored traditions to my own children. Over the years I found myself digging out old recipes to bake with the kids, finding old pictures of crafts to re-do and I thought, “wouldn’t it be great to have these all in one place? !” – so that’s what I did. I know how crazy it is, and how we try to create these memories for our kids, and I wanted to share some of that Christmas magic with all of you. A traditional Christmas book for the modern family. This book is full of helpful tips to slow down and enjoy the season with your children. 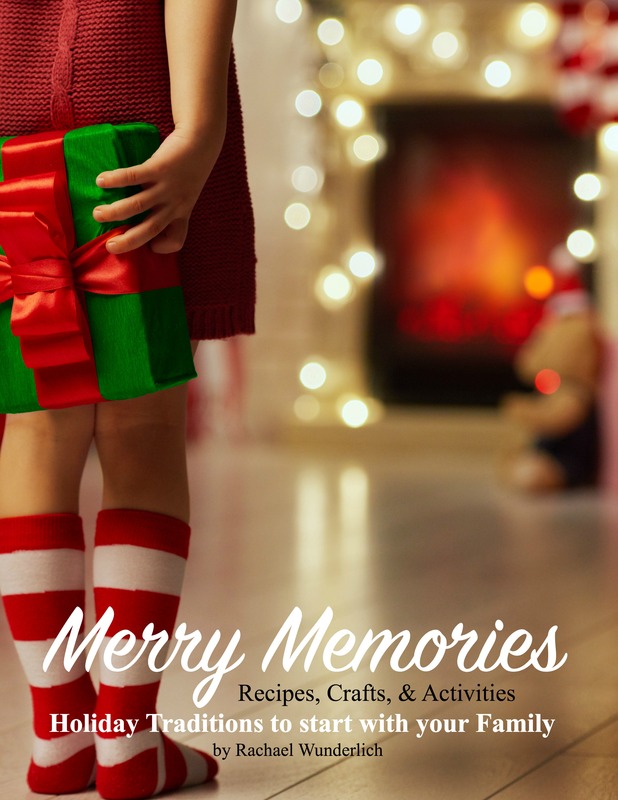 A wonderful resource full of crafts, recipes, and activities for the Holiday season. I’ve even included printables to make it just so easy to create these memories with your own family. So slow down, make some memories, and spread the Christmas magic as far as the eye can see – I promise, your children will remember it for their entire lives…I know I did!